University of Memphis received a A.
Washington Monthly's ranking of 40 out of 277 of National Universities - Overall Rank was a major contributor to this grade. You'll find a very diverse, mostly in-state student population at this urban state university, which is located amid the bustle of downtown Memphis. Anthropology and archaeology students can take advantage of the Chucalissa Archaeological Museum. A degree in fire administration and fire prevention technology is also offered. Describe the type of student who should not attend University of Memphis and explain why. If someone has a better option, they should attend elsewhere. So long as funding provides it, there are plenty of good alternatives. Describe the type of student who should attend University of Memphis. Why? What is a typical University of Memphis student like? Describe the type of person that should attend University of Memphis. A typical University of Memphis student is; eager to learn, friendly, and prepared. The types of people seen varies greatly yet most all students have the same willingness to succeed. What are the top 3 reasons someone should attend University of Memphis? What was a typical University of Memphis student like in high school? Describe the type of person that should attend University of Memphis. 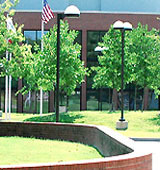 In 1925 the name of the college changed to West Tennessee State Teachers College. Three years later, the Brister Library was built, named after two-term president John W. Brister. In 1931 the students created a campus newspaper, The Tiger Rag; and in 1935 the school's agriculture department was discontinued. What are the top 3 things that students do for fun at University of Memphis? There are not many things to do for fun without money around the area. But there are free campus activities quite often, as well as study groups, and tutoring. 1% of students graduated in the top tenth of their class. The average student pays $12,060 for tuition, fees, and other expenses, after grants and scholarships. Total stated tuition is $7,056, in-state and on-campus, before financial aid. Learn more about financial aid at http://www.memphis.edu/financialaid/. Estimate the net price for you at http://www.collegeportraits.org/tn/uofm/estimator. The typical (median) early career salary of University of Memphis graduates is $42,100, according to Payscale. University of Memphis participates in the NCAA Division I-A for college athletics. Want more info about University of Memphis? Get free advice from education experts and Noodle community members.